For pricing and more information on this title, call us at 1-877-394-8826. Discounts may be available to customers that subscribe to both online research and print products. 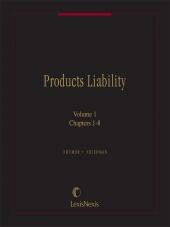 The most frequently cited and respected authority in the field of products liability. 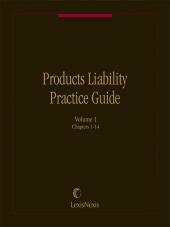 This provides the attorney with one place to obtain all information about products liability, from analysis of the products, design issues, the parties, the causes of action, defenses, damages, litigation techniques, international issues, and source material. 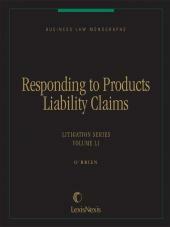 Treatise covers every facet of the law, including theories of recovery, causation, collective liability, plaintiff and defendant considerations, strict liability, breach of warranty, negligence, defective products, or warnings. 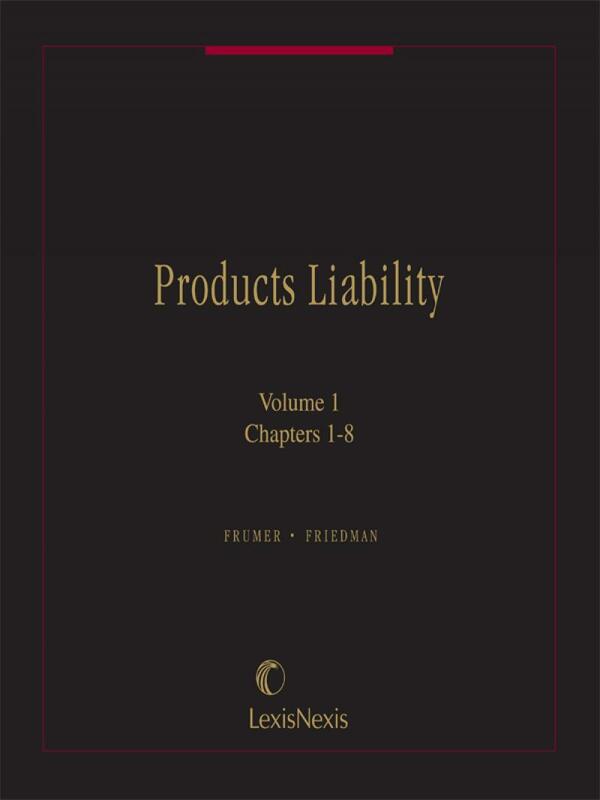 The original authors are Louis R. Frumer and Melvin I. Friedman, highly respected practitioners in products liability litigation. Last updated by Cary Stewart Sklaren.